Now that I’m doing more drone photography and videography, I needed a good way to travel with my DJI Mavic Pro drones. There are some really sweet hard cases, like this $120 custom-fit model from Go Professional, but unless you’re working out of a vehicle its pretty heavy and bulky. 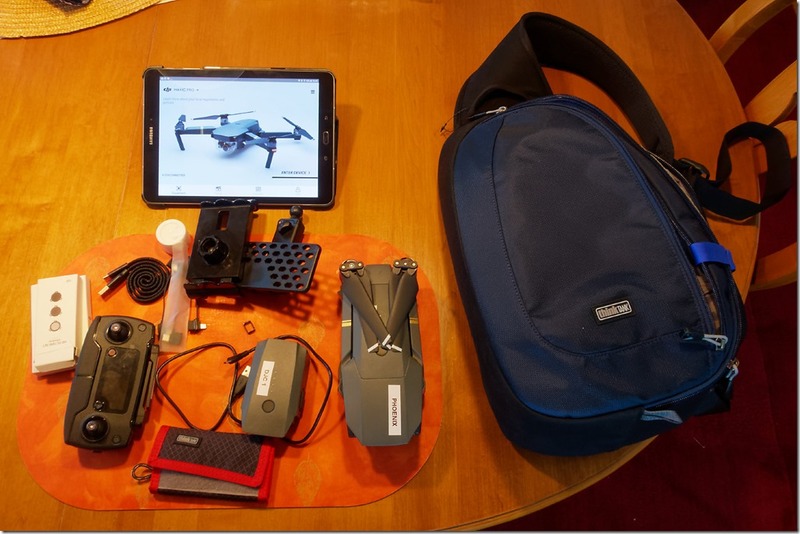 Since many of the great drone locations are best reached by hiking or biking, I wanted something light and convenient, that would also hold my tablet and tablet mount. It turns out the the Think Tank Turnstyle 20 fits the bill perfectly. Its sections are each a good fit for the Mavic Pro, the Remote Controller, and my tablet mount. I can even fit a small mirrorless camera or point in shoot alongside, and a spare battery. My cables, ND filters, and spare props go in the front compartment, while my 10-inch tablet fits nicely in dedicated tablet compartment in the back. Even with all that, the bag is a joy to carry and use. It has a nice, wide, sling-style strap, that you can use over either shoulder or as a true sling. There is a small carrying handle for short jaunts. You can rotate it around to get access to the contents without taking it off. That’s important to me when working in the field, as the less things I have to set down and retrieve again, the better. Here you can see my Think Tank Turnstyle 20 with all the gear I carry in it. 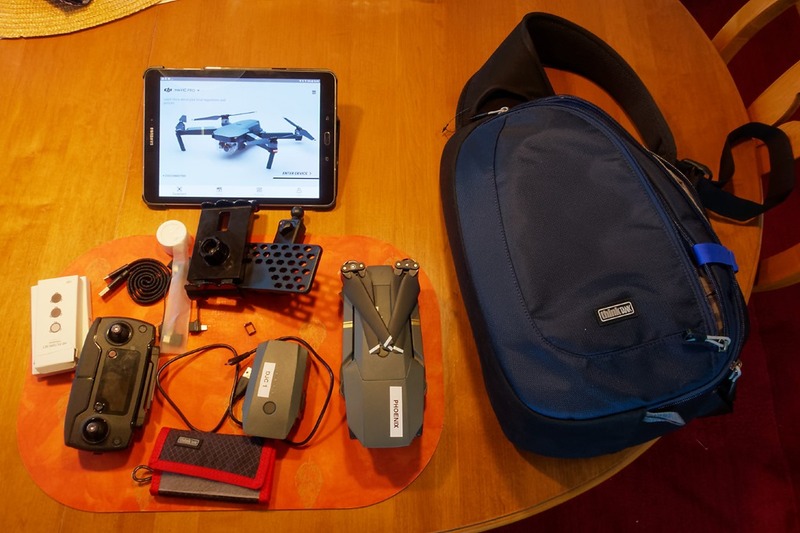 There isn’t a lot of room to spare once you get all the kit needed to fly a DJI Mavic Pro, which is what helps keep the system easy to carry and manage. So if you expect to load up with additional chargers or a sun hood for your tablet, then you may need to bring along a larger pack or split things up. But if you want something “just the right size” for flying your DJI Mavic Pro, the Think Tank Turnstyle 20 is a great option, and won’t break the bank. You can read more about some of my initial work with the DJI Mavic Pro in my hands-on review.